The draw ceremony for Roland Garros 2013 has concluded, with the biggest question of the men’s draw answered. Rafael Nadal, seeded third, was drawn in Novak Djokovic’s half. Roger Federer received a favorable draw in his opening rounds. The Swiss maestro will face qualifier Pablo Carreno-Busta in the first round, followed by the winner between two more qualifiers in the second round. From there, a potentially tricky match lurks against Julien Benneteau in the third round. His seeded opponents include Gilles Simon in the fourth round, Jo-Wilfried Tsonga in the quarterfinals, and David Ferrer in the semifinals. Leading the opposite half of the draw are Novak Djokovic and Rafael Nadal. 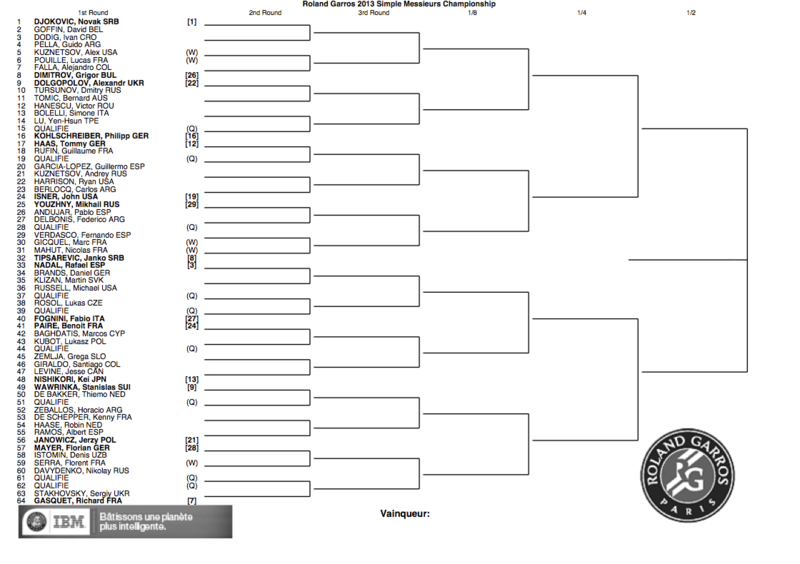 Main draw play begins Sunday, May 26. 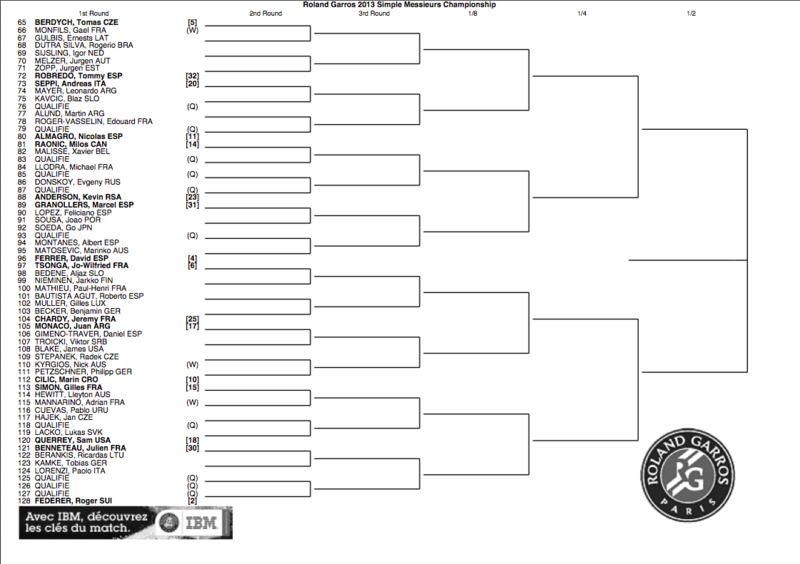 View full printable draws below (download Roland Garros 2013 Mens Drawhere). Watch full coverage of Roland Garros 2013 (French Open) on FF07tv. 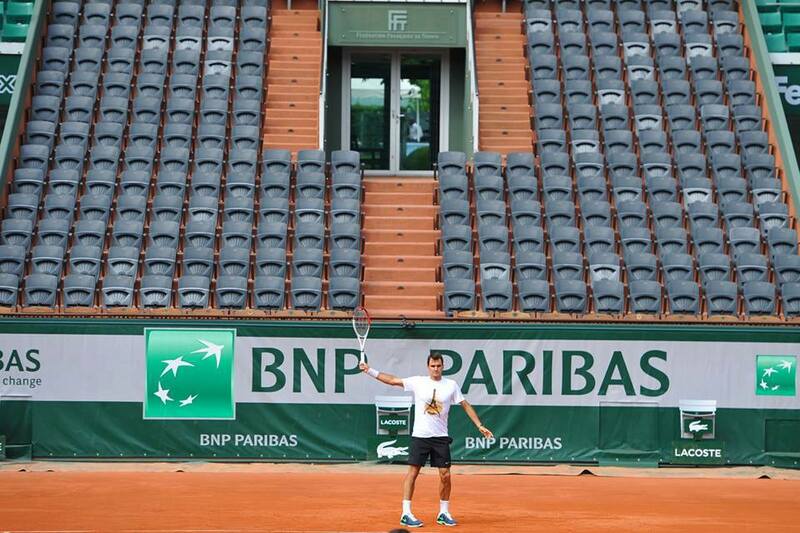 See Roger Federer’s Nike outfit here.